Lignes de temps is a software designed for video annotation and indexation that benefits from the possibilities of the digital medium. Inspired by the timelines usually used in video editing softwares, it provides a graphic representation of a video which reveals its segmentation. 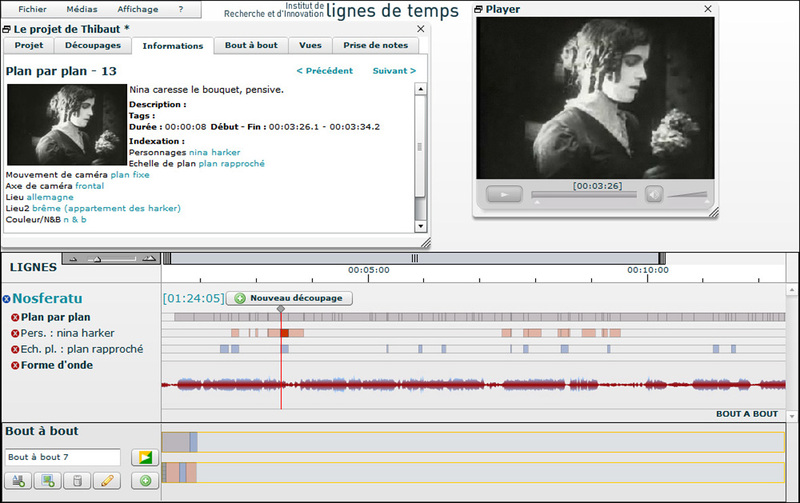 When the user selects a segment in Lignes de temps, he has a direct access to the corresponding sequence of the video. This one can be described and analyzed through annotations and indexations. 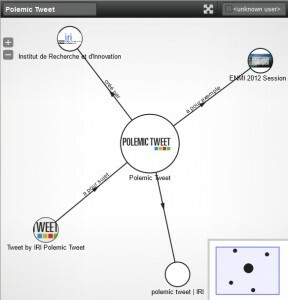 Polemic tweet is an annotation device that benefits from social dynamics. It is especially designed for social events, like seminars : users can share what they think about a discourse, and visualize, in real time, the construction of a global polemic. 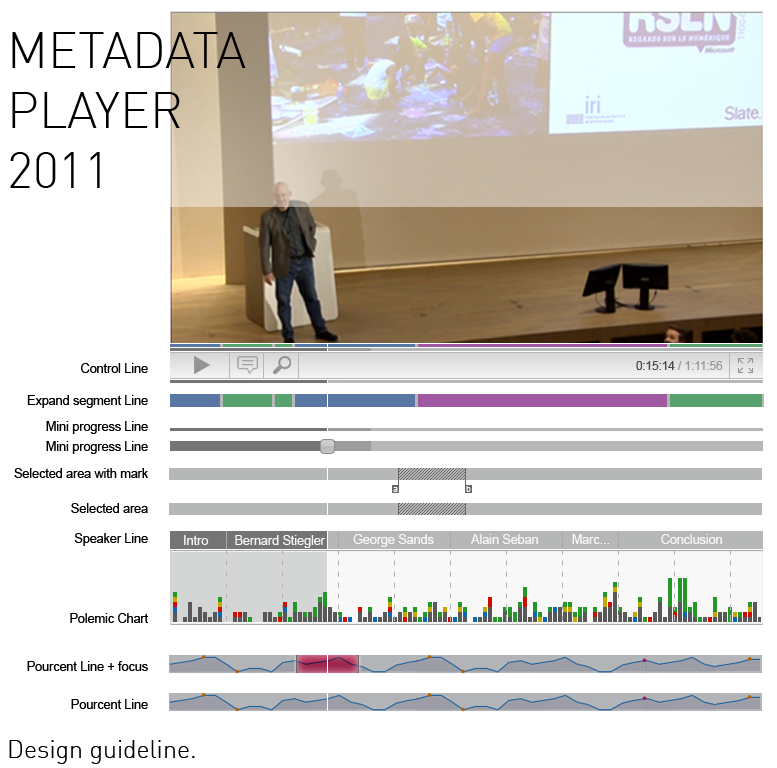 The Metadata player is a component of « Lignes de temps ». 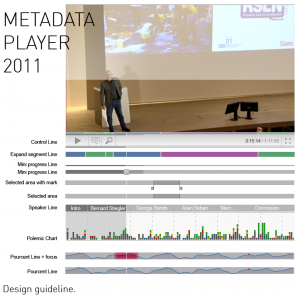 It is designed to read and write metadata linked with audiovisual contents on the web. The user interface makes accessible the following informations : chapters, annotations, tags, and results of a local search engine. Renkan (連環, « link » in Japanese) is a tool jointly designed and developed by the University of Tokyo and IRI in 2012 for the creation of collaborative mind maps, and more generally for the editorialization, the linking and the annotation of Web contents (texts, images, videos, web pages, Lignes de Temps video or annotations, etc.). A Hashcut is a hypervideo (a clickable video) and at the same time a Mashup (a mix of media). It is an assemblage of video quotes, without any alteration of the original media. It makes possible for everybody to propose a new look on this media.